If you don't pay the required fees or assessments to your homeowners’ association (HOA), typically, the HOA can foreclose your home. But there are defenses to an HOA foreclosure. Read on to learn more about possible defenses if you're facing this kind of foreclosure. Additionally, the HOA will often record its lien with the county recorder to provide public notice that the lien exists, even if your state doesn't require recordation. What homeowners don’t always realize is that, even if you're current on your home mortgage payments, you could lose your house to foreclosure if you don't pay the HOA assessments. Once an HOA has a lien on your property, it generally may foreclose that lien. Usually, the foreclosure will occur in much the same way it would if your mortgage lender were to foreclose. You could potentially lose your home even if you're only a few hundred or thousand dollars behind on HOA assessments. Some states, though, impose limitations on an HOA's ability to foreclose. Sometimes assessment liens are invalid due to incorrect accounting by the association or its management company. If you believe the HOA has improperly calculated the assessments and raise this as a defense, the HOA must show how all amounts were calculated, including assessments, late fees, interest, fines, and costs, all of which must be in the correct amount and have a basis provided for in the CC&Rs. If the HOA fails to adhere to the state statutory requirements, the foreclosure can be dismissed. For example, in California, the delinquent assessments must exceed $1,800 or the delinquency must be at least 12 months old before the HOA can initiate foreclosure proceedings. (Cal. Civ. Code §1367.4). If the HOA prematurely initiates a foreclosure, the homeowner can raise the failure to adhere to the statutory requirements as a defense. The fines, interest, late fees, management fees, and attorneys’ fees assessed must be reasonable. For example, if the HOA forecloses due to $500 in back dues, but penalties and costs associated with the foreclosure—such as fines and attorneys’ fees—increase the amount due to over $5,000, a judge might very likely decide these charges are unreasonable. Sometimes, an HOA might assess a charge that isn't authorized by the CC&Rs. If the HOA then initiates foreclosure of the lien that's the result of an unauthorized charge, the lien—and foreclosure—would be invalid. Depending on the state and the CC&Rs, in many cases, payments to an HOA must first be applied to assessments before any other type of debt. This means that an assessment lien and subsequent foreclosure might be invalid if the HOA applied payments to a category other than assessments, like fines. In some states, the lien for assessments has to be perfected through recordation of the lien. If the HOA improperly records the lienor does not record the lien at all—in a state that requires recording, this can provide a defense to the foreclosure. 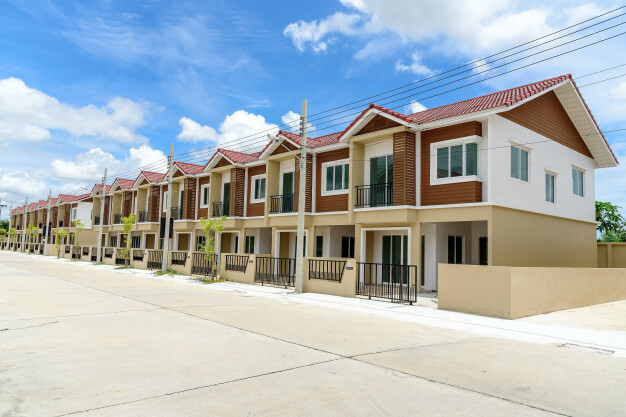 Also, if an assessment lien is improperly recorded against a property, the property owner may be able to bring a wrongful lien claim against the HOA. In Arizona, for example, a homeowner is entitled to a minimum $5,000 in damages against a party that improperly records a lien, plus attorneys’ fees and costs, as well as an additional $1,000 if the party refuses to release the incorrect assessment lien within twenty days from the date of a written request. Generally, the CC&Rs will contain a provision governing how and when the HOA may foreclose. However, in some cases, the CC&Rs might not authorize foreclosure. These are only a few of the possible defenses available to an HOA foreclosure, but there are, of course, others. HOA laws vary widely from state to state and are complicated. Additionally, the manner in which you will need to fight an HOA foreclosure differs depending on whether the foreclosure is judicial or nonjudicial. If you're facing foreclosure due to unpaid HOA assessments, consider talking to a foreclosure attorney in your state to discuss all legal options available in your particular circumstances.